Here is a selection of images showing Swiss army uniforms. Most of these date from the first year or so of the war. Also see the detailed information available on the Rost und Gruenspan website. Soldiers from the 61st Fusilier Battalion in their early war uniforms. 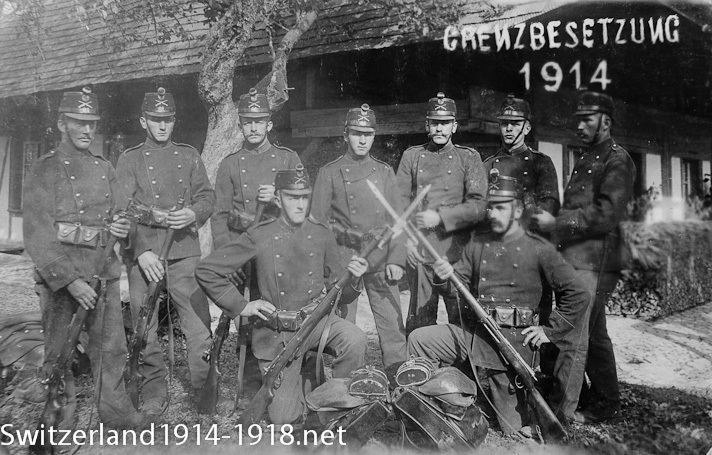 The word "Grenzbesetzung" on this photograph means "guarding the frontiers" and refers to the period at the start of the First World War when there was the greatest fear of invasion. 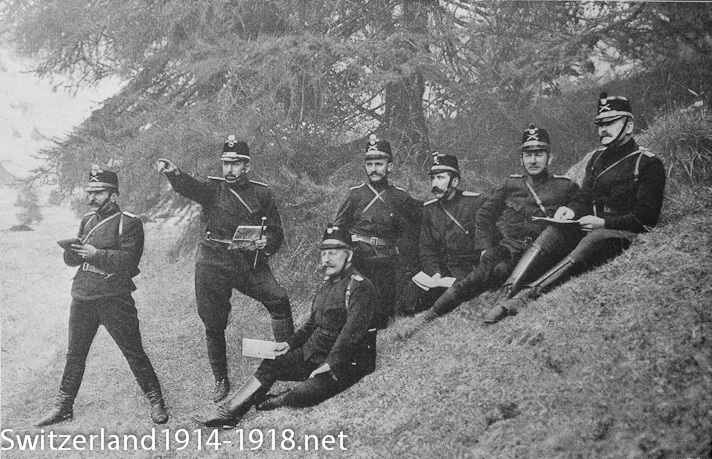 Officers of the 156th Fusilier Battalion receive orders. Much of the uniform worn by the Swiss army at the start of the First World War had been introduced in 1898. After a while the dark blue army uniform and soft hats began to be replaced by field grey clothing and steel helmets. 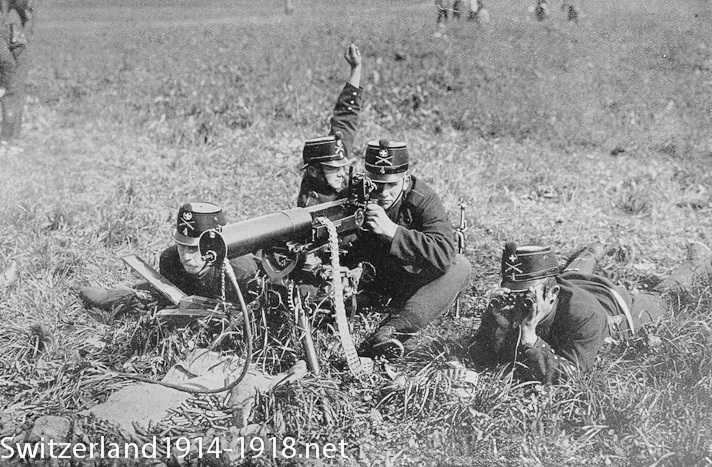 Machine gun troops on exercise. 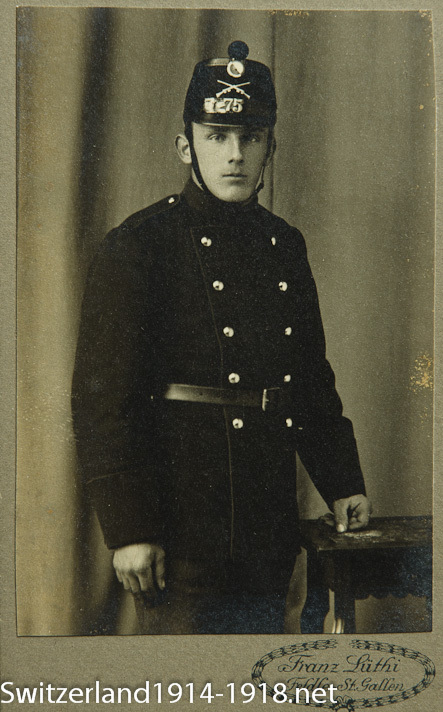 Portrait of a Swiss soldier from the 75th Fusilier Battalion, perhaps taken right at the start of the war, just before this soldier went away to guard the frontiers. 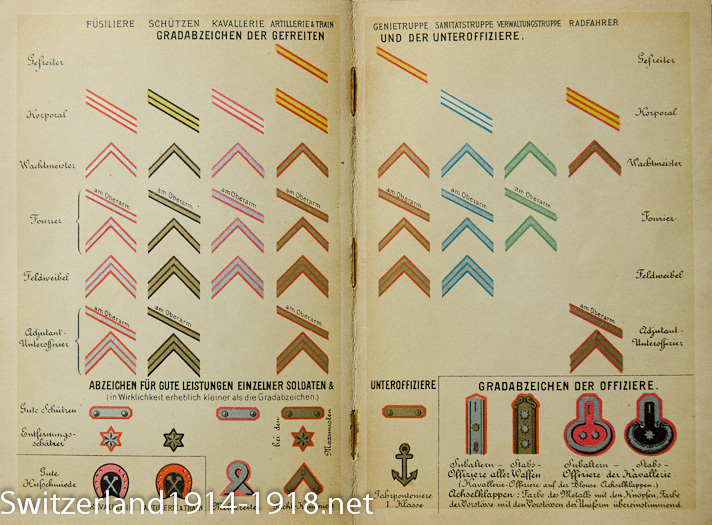 Swiss army rank insignia and other badges, from a soldier's manual. Click here to go to next page on mountain warfare.